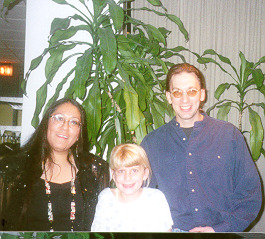 "Best Native American Music Album"
Mary's fifth and latest album “Dance with the Wind” won the 2007 Grammy Award for “Best Native American Music Album”. In an interview after accepting her award, Mary told the media that "'Dance With the Wind' was created during the 2006 winter storms in Northern California. The storms brought extremely high winds; a tall oak lost a few good sized limbs and the maples took a thrashing. Having an incredible affinity to trees, Mary looked at them in her backyard, and thought it would be hard to be a tree right then. But as she watched them, she noticed how the trees were almost moving with purposeful rhythm, and with something that resembled... JOY. Mary related her own personal stormy times to the dancing trees and realized she could be like they were. She was not going to give in to the elements either; she was going to learn to be more like the trees ... and "Dance With the Wind". 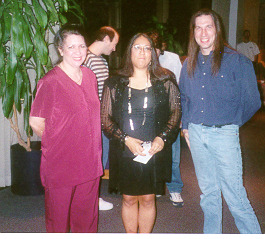 Mary’s third album 'Beneath the Raven Moon', won the 2003 Grammy Award for “Best Native American Music Album”. Silver Wave records considered this a poetic concept album - the title of each track being from Mary’s thematic poetry reflecting the Human Journey. Mary’s beautiful voice harmonizing along with her many flutes debuted with the instrumentation of award winning producer Tom Wasinger. Of Mary's exemplary flute playing coupled with two of her favorite American music styles, Classical and Blues, Dirty Linen Magazine stated, "Mary Youngblood brings a fresh perspective to original melodies."